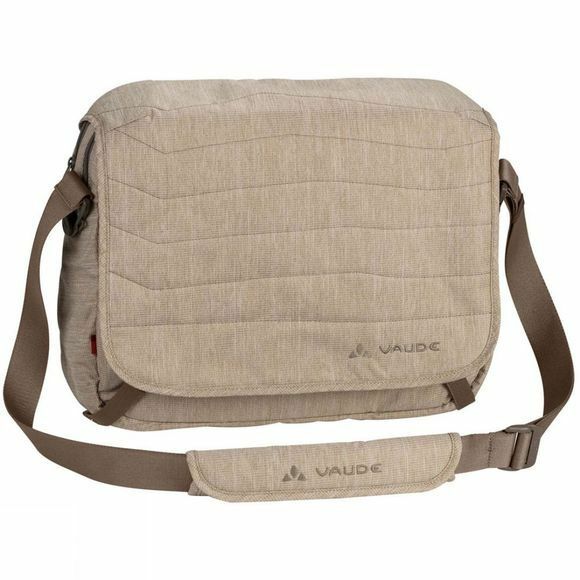 The Torpet II Rucksack from Vaude is a sporty, casual, eco-friendly: this clever city bag in a trendy messenger bag format can easily swallow a 17.3" laptop as well as A4 documents, writing utensils and other personal effects, and looks good while doing so. Its material made from recycled PET bottles has two advantages: it's good for the environment and is also water repellent and robust. 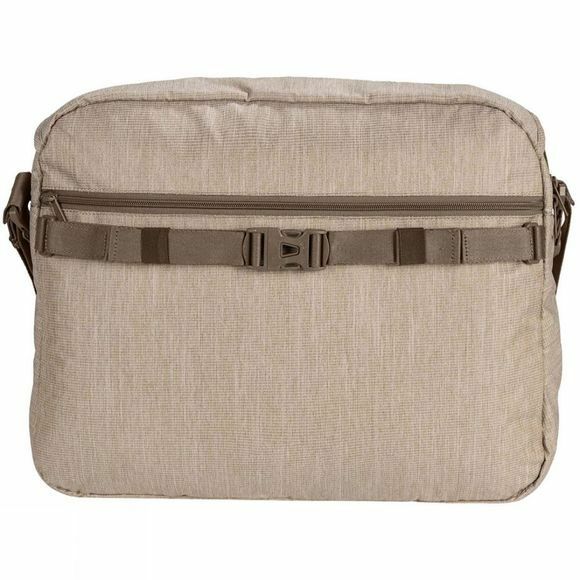 The large main compartment has well organized divisions and is superbly protected from sticky fingers thanks to a zip and buckles on the lid closure; a zip compartment at the back holds everything that you need to have close at hand. An additional hipbelt keeps the bag securely on your back for biking. The torPET II hits the bull’s-eye for students, commuters and modern urbanites.